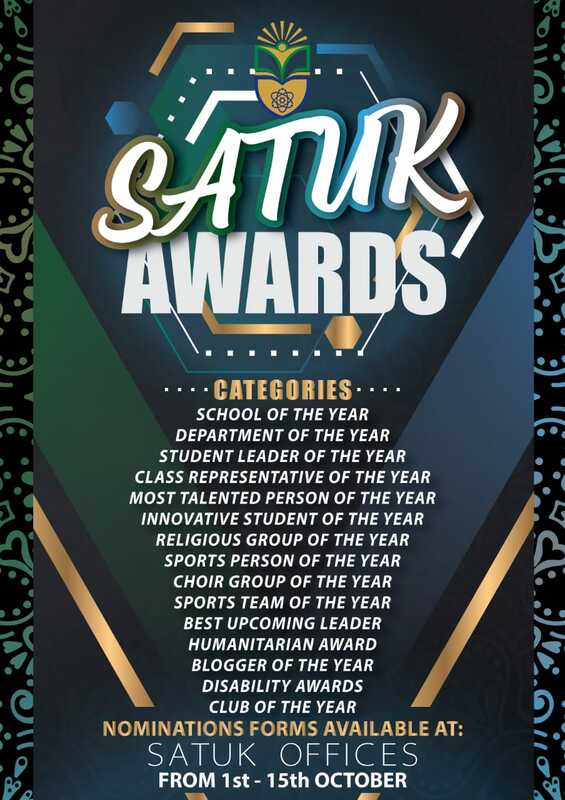 As SATUK we are organizing SATUK awards whose main objective is to award students who have performed exemplary well in various disciplines across the university. All students wishing to participate are hereby requested to register online through Google forms or download and fill in Nomination Forms available here. The nominations will run from today,3rd October to 21st October 2018.